The new ECB SuperUtes Series will make its debut at next year’s 20th anniversary edition of the Adelaide 500. Opening the 2018 Virgin Australia Supercars Championship, the March 1-4 event will be the 20th running since the street circuit joined the calendar in 1999. Supercars will be joined again by the Dunlop Super2 Series, Porsche Carrera Cup, Touring Car Masters, Stadium Super Trucks and Improved Production, while SuperUtes and the Audi R8 LMS Cup are the newcomers. The next era of Ute racing, dual-cab, turbo diesel machines are being developed for the new-for-2018 ECB SuperUtes Series. 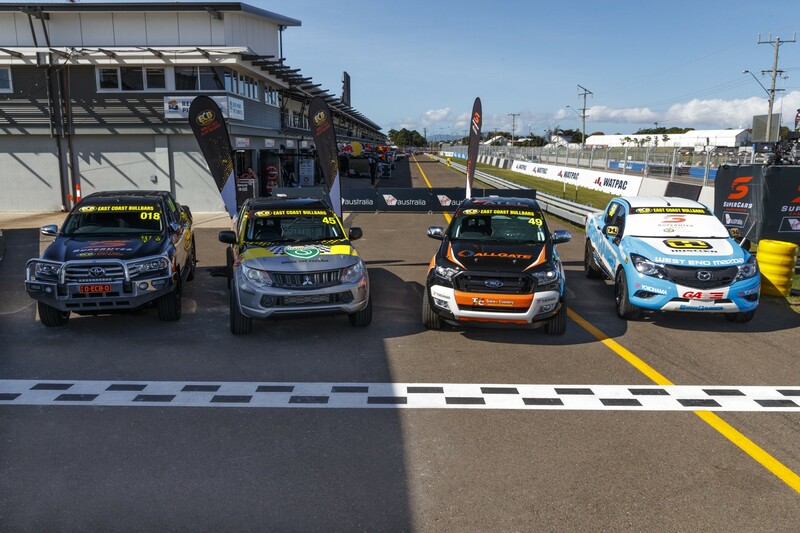 The Holden Colorado, Toyota Hilux, Ford Ranger, Mitsubishi Triton, Mazda BT-50 and Isuzu D-Max are set to line up. Former Supercars team owner Ross Stone has helped shape the class and is preparing to run a Ford from the old Stone Brothers Racing workshop. “The 20th anniversary of the Adelaide 500 will be a celebration of the past and the future, with fan favourites alongside new additions to the racing circuit,” South Australian Tourism Minister Leon Bignell said. “The anniversary edition is all about the fans – those who have loved and supported the event since its inception in 1999 as well as those who we hope will experience the event for the first time in 2018. UK superstar Robbie Williams will headline the Adelaide 500 concerts, playing on the Sunday evening. The Friday night bill will be all-South Australian, including Cold Chisel and Kasey Chambers, with the Saturday line-up to be announced.